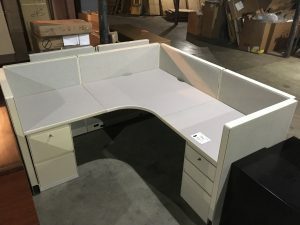 77″ x 77″ Cubicles including one 3-Drawer File and one 2-Drawer File. 42″ High panels. Gray work surface and off-white files. (15 Available) $400 Each.